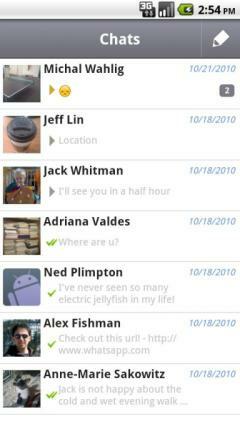 WhatsApp Messenger is a cross platform smartphone messenger. WhatsApp uses your 3G or WiFi (when available) to message with friends and family. Switch from SMS to WhatsApp to send and receive messages, pictures, audio notes, and video messages. · group chat limit raised to 30 people. · improvements and tweaks to Arabic presentation - Thanks Bichen! · Green avatar for individual contact, Blue avatar for group contact. · Contact visibility settings and improvements especially with SIM contacts on LG phones. · Quick fixes for Hebrew. 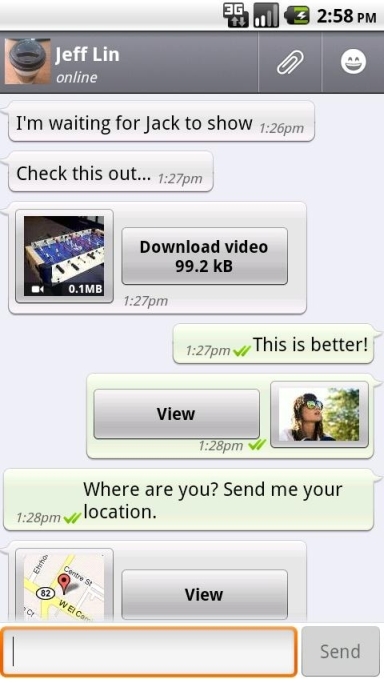 · Improve: notification playback during music playback, SMS and Voice verification. i whant whstsapp to my asus memo tab.. Unable to download wats app on akash tablet.